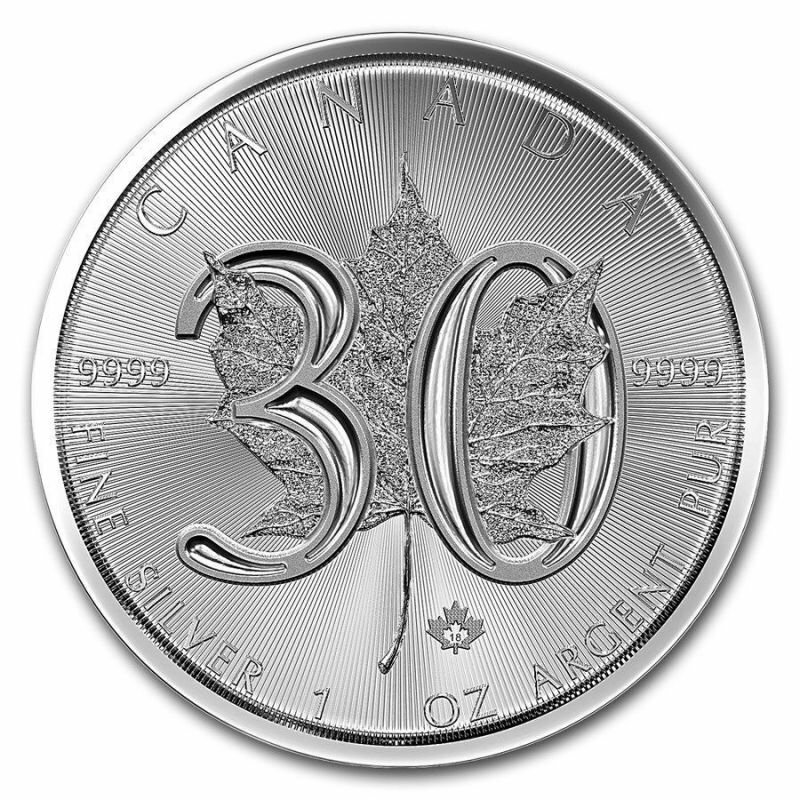 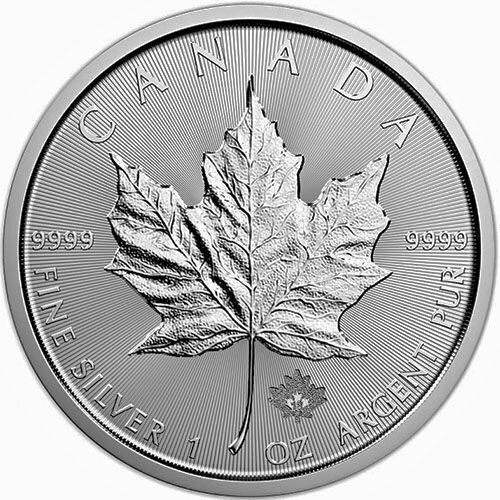 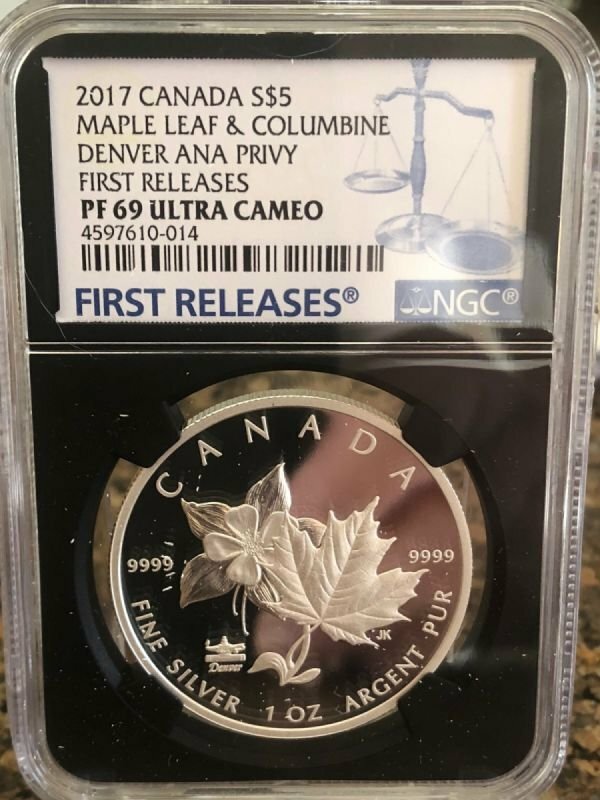 2017 Canada Maple Leaf Columbine ANA Colorado Privy Reverse Proof FIRST RELEASES (Graded within first 30 days of issue) 1 Ounce .9999 Fine Silver S$5 Professionally Certified and Graded PF69 Ultra Cameo By NGC! 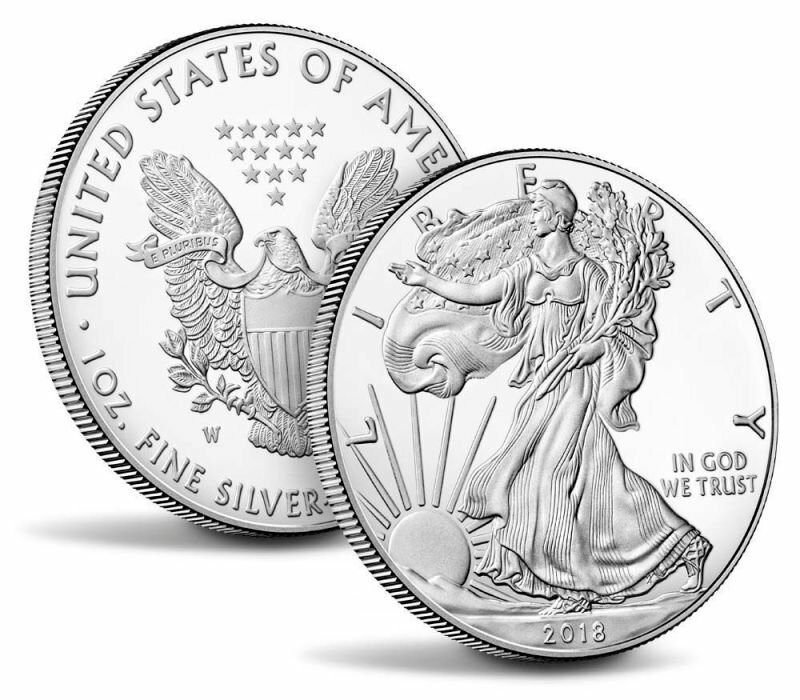 Special Privy for the ANA show in Colorado these were limited to ONLY 6000 mintage! 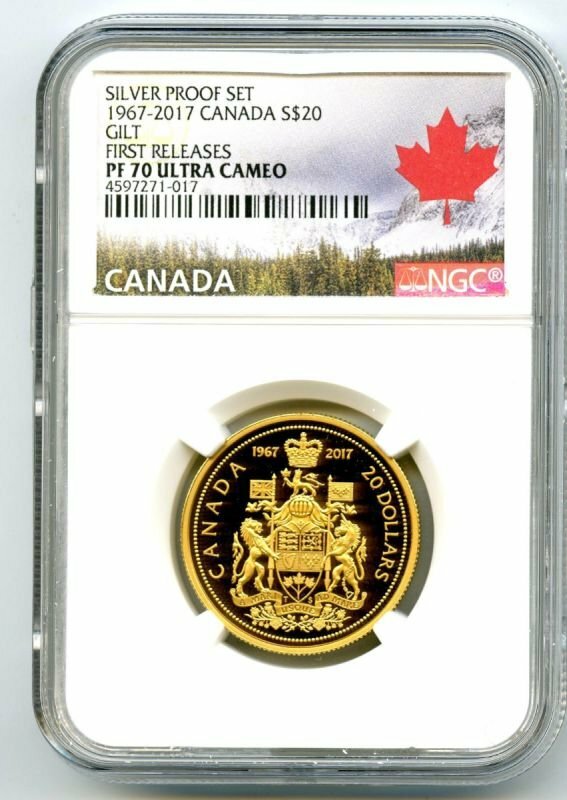 Few were graded!